Managing employee absence can be difficult if you have not installed a clear absence management strategy in your workplace. So, how do you go about reducing absenteeism? We asked for your advice on how to answer this question and we seem to have hit a bit of a raw nerve! Here are 50 tips that you have provided. i. Review your existing policies, check they are up to date and most importantly check everyone has the same understanding. ii. Hold calibration sessions with different people managers, to understand how the policy is being applied and learn about difficult and different situations that have needed to be managed. iii. Provide a clear support structure for your people managers, so they know who to turn to if they are unsure of a situation. v. Report the numbers as a count of people, a FTE (Full-Time Equivalent) and a percentage. vi. Review your back-to-work interviews, and again support those who are delivering these meetings. vii. Finally, ensure there is accountability and responsibility at all levels. Ensure that the contact centre team knows that you are aware of what is going on outside of work, including sports events, festivals and other special occasions of this nature. In a previous role, I had the HR Director sent out an email on the Friday before a big music festival. I know a lot of you are going to the festival and I hope you have a really good time and get home safely. The holiday allocation for Monday is now full. I just want to let you know that anyone who calls in sick on Monday will be doing their return to work with me when they get back. Managing absence in time is a great way to better control employees’ annual leave entitlements and make sure that they are aligned with business needs. An example would be if an agent needed to go home early to see their child’s play, or someone who needs an hour for a medical appointment. Requests for full days, which would normally be denied, could then be part-approved. Also, on the quiet days you can look to flex down by approaching agents and offer them the opportunity to use up an hour or two of annual leave. By doing so, the agent goes home early, the service level does not suffer and you now have less annual leave to manage later down the line (when it could be damaging to the service level). Everyone’s a winner! I am a great believer in visibility. Giving the agents visibility of how many instances of absence/sickness they have had, in a given period of time, is a great way to remind them that they need to be mindful of the number of occasions they are absent. If agents can actually see the days lost to the business as a result, not to mention the fact that another instance could trigger a disciplinary of some type, the agent is less likely to be sick on a further occasion. This can be done manually or through permissions to reports, within certain Workforce Management solutions. Dividing the contact centre into groups can provide a sense of team spirit, which can reduce absenteeism, as each agent is more likely to feel a sense of duty to their fellow colleagues and “teammates”. Splitting your staff into smaller teams can increase their feeling of duty. 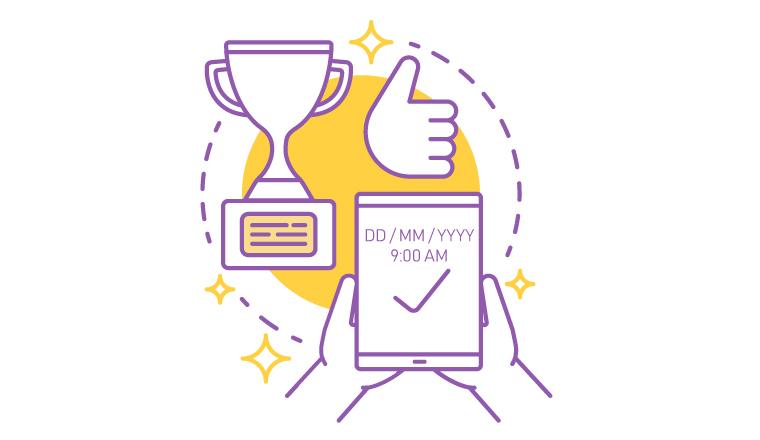 To spread this feeling further, add team incentives to individual awards, so you boost that community atmosphere and togetherness of each group, whilst sparking friendly competition that can only benefit the contact centre. Absenteeism often peaks during, and in the aftermath of, significant sporting events, such as the Olympics, World Cup and the Superbowl. So, it may be a good idea to stream a live broadcast of the event into the contact centre, displaying the live action on wallboards or agent desktops, to reduce the impact of staff shortages. This can be taken even further by embracing such occasions and playing contact centre games that revolve around the World Cup and Olympic Games, to bring that celebration into the working environment. Stress is often a strong source of absenteeism in any workplace, so finding out what parts of the job put most strain upon agents is important and will help you find out what you can target to improve attendance. Often, in contact centres, stress will emerge from unchallenging and repetitive work, not having control over job related decision-making and the lack of opportunities for job progression. To reduce the effect of these sources of stress you could implement motivational games, run a “you said, we did” styled programme and notify agents via email of job opportunities within the company, for which they may be suitable. As the average age of contact centre employees remains quite young, childcare is likely to be a major cause of absenteeism. This is because, if an agent’s child falls ill, or their usual childcare arrangements fall through, parents may have to take a sick day to care for them. So, to reduce this issue, contact centres can offer childcare vouchers, perhaps as part of an incentive, or include child support in their Employee Assistance Programmes. This “disengagement” is no doubt a contributing factor to absenteeism. So, to greater engage your workforce, it may be time to start leading from the front. Take a read of this article on the importance of a call centre culture and how to improve it, for information on how to get your leadership close to the front line staff. One way of doing so is to place a coach to work alongside the team leader. This can be particularly effective if you promote a highly skilled agent, who you are afraid you may lose, to take on the role of a coach. Whilst this would not be a promotion of much greater pay, it would provide that agent with a clearer route of profession and give extra support to agents. 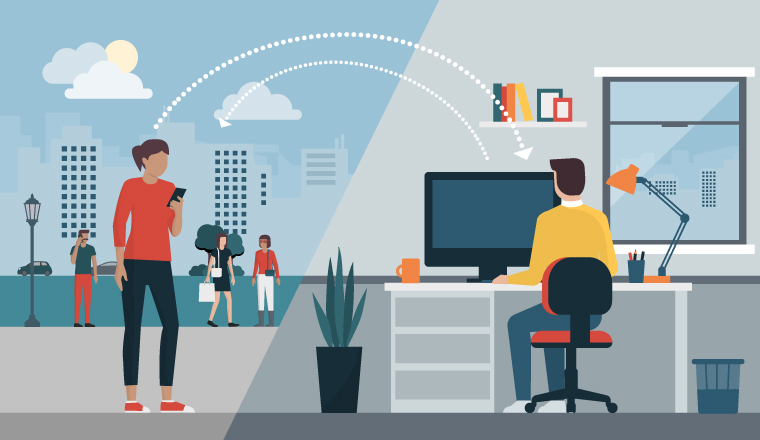 Furthermore, this takes some of the responsibility away from the team leader, who can instead focus on engaging agents, improving company communication and monitoring absenteeism. 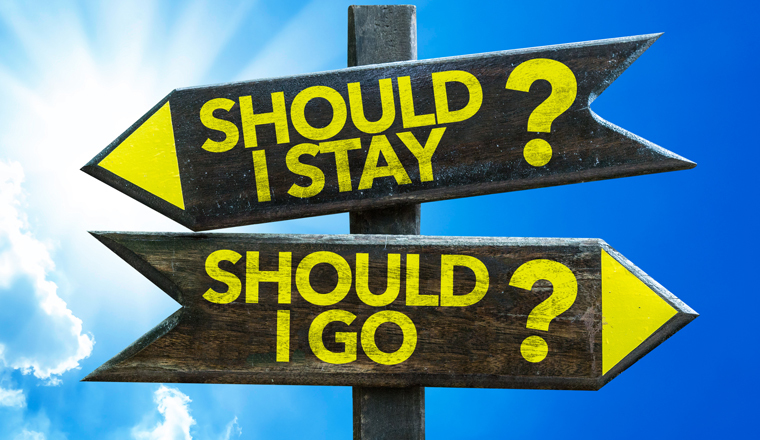 Due to the high rates of attrition in many contact centres, an agents can be in the job for only one or two years and soon realise that the group of people he/she trained with have all moved on. This can be a troubling feeling for an agent, especially if they feel that they have not made any progression in their role. Helping agents to see how their role can relate to their future aspirations, and providing them with opportunities to widen their skillset, can motivate agents further and also reduce attrition. Doing so becomes even more important when the young age of those in the profession is considered. This is because if the contact centre team feel as though you have equipped them to succeed, you will boost morale as opposed to resentment, which will likely lead to absence. Having a clear attendance policy that is communicated to all staff is key; employees need to understand what is expected of them and what is considered to be acceptable. Having absence procedures in place should ensure that all employees know exactly when they should call in to report their absence and who to. There should be a high level of consistency in the way that the business deals with unacceptable absences. Conducting return-to-work interviews can be particularly helpful in ascertaining the reasons behind an absence and assessing whether they are genuine. It is also important for the company to continually look for ways to keep staff engaged. Overall if strong procedures are in place and are adhered to, they can help reduce absence across the business. Flexible scheduling can reduce absenteeism if handled correctly. Some employees are forced into absenteeism situations for reasons that are beyond their control. Allow employees the opportunity to choose custom-designed schedules that better match their personal needs and help them to maintain predictable work patterns. For employees with chronic or habitual late arrivals or absenteeism, a good occurrence programme is essential. Documentation is key, and the rules should be applied evenly across the entire population of contact centre agents. Let’s say you have two employees with nearly identical sales achievements for the month. Both are in line to receive cash bonuses. Is it appropriate for one employee with an abysmal attendance record to receive the same bonus as the employee that has a stellar attendance record? No. Both employees were present during core selling hours, but only one employee was conscientious enough to arrive at work on time and help their team. In that spirit, tie promotions to attendance as well. Nothing deflates a team faster than seeing a co-worker promoted into a leadership position where they will be required to enforce attendance policies that they themselves could not adhere to before they were promoted. 17. Is Your Attendance Policy Too Strict? You need just a little wiggle room to allow for some unanticipated absences (i.e. build in an exception for snow storms, traffic accidents tying up major highways, or commuter trains being delayed). The key here is to make sure these events are verifiable and they impact a broad population of agents. Allowing for shift swaps (i.e. trading shifts) can also reduce absenteeism. Some centres maintain a shift-swap board where agents post days they need off and their schedule, and other agents may volunteer to trade days off or shift start times, etc. Larger contact centres may automate this process using their scheduling software. Read this article for more information on shift swaps in the call centre. There are agents that are habitual offenders, and agents who will show up every day without fail. But, there is a larger population of your employees that fall somewhere between these two groups, and for them their working environment can be a tipping point in your battle to improve attendance. 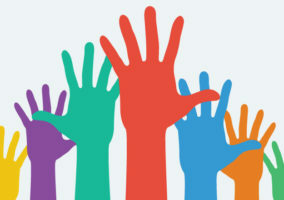 Survey your agents, and ask them what would contribute to a happier workplace and encourage attendance. You may see responses that indicate you need to make their break areas more attractive, or they may want to personalise their cubicles. In extreme cases, you may see agents that want new parking arrangements, or perhaps you can arrange local daycare discounts for working parents. 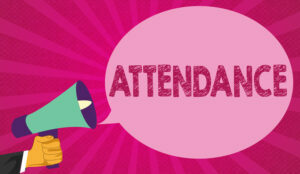 Most contact centres that track attendance data notice increased absenteeism on Mondays, Fridays and weekends. If attendance is tied to your centre’s financial results, think about offering an incentive plan that includes perfect attendance as one of the key targets. 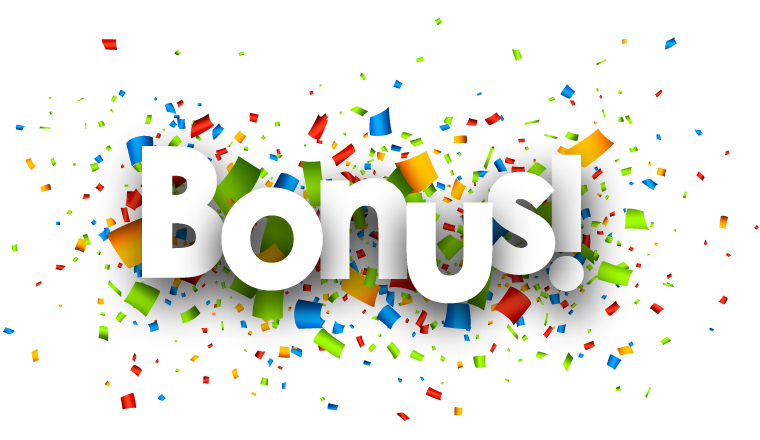 Look at an annual recognition bonus for those who have perfect attendance over all four quarters. You may also want to look at an annual recognition bonus for those who have perfect attendance over all four quarters. I would suggest reading the book, Discipline Without Punishment. This features partners in accountability. Basically, the employee is in charge of their destiny. For example, Employee A has only 48 hours of sick time or 6 occurrences. Employee A has used up all 48 hours and is on their 7th occurrence. At first, Employee A has an undocumented discussion with their manager just stating the facts and letting it be known that if they call out again, then there will be an “action plan” discussion. 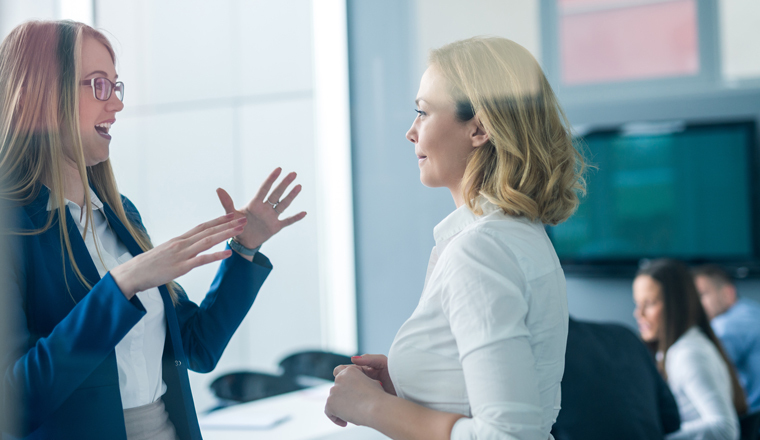 If the same employee calls out for the 8th time, then upon their return, the manager has a discussion that is documented where the employee must create an action plan to take care of their problem of calling off from work. Responsibility is thrown back on the employee. Together, the employee and the manager craft a plan to get the employee back on track. The employee signs the document and it is placed in their file. If the employee violates the action plan, then they have another documented discussion and are given an ultimatum of whether or not they should be employed with the company. The employee is given a 24-hour period to decide. If the employee decides to remain with the company, then they must recommit to the action plan. The manager then explains that any more infractions will result in termination. While this is a lengthy process, it results in far less employee turnover. By doing this you will help curb absence and set the tone for the suggestions above. This has worked out nicely for me in five countries. Setting this expectation up front will not only filter out those who are in it for their hourly pay as well as curb the Monday/Friday/weekend/holiday call outs. I supervised a dysfunctional team which enjoyed burning up their sick leave. I created an incentive programme giving them one free vacation day every six months if they did not call in sick. Of course visits to the doctor would not count against them. It worked! I gave out more vacation days for perfect attendance than any other manager. I even allowed for planned vacation without affecting their score if they really needed a break. 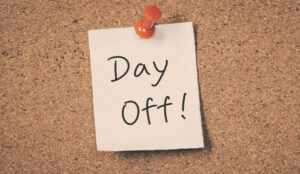 For more information on giving staff a free day off, read this article on How Duvet Days can Reduce Staff Absence, which discusses how call centres have used this scheme in in practice. Hiring the wrong call centre agent is the root cause of many call centre performance issues – including absenteeism. It’s a significant drain on your budget and bottom line, on customer satisfaction ratings and sales results. Call centre agent pre-employment screening software can screen out job candidates who will burn out fast because they aren’t suited for the work – and identifies the people with the personality/job-fit, soft skills, motivation, and work ethic to be top call centre agents. For more on this topic, read our article: How to Write a Successful Recruitment Strategy and How to Recruit the Right Call Centre Agent. I found an interesting principle that has really turned things around, I raised the bar. Working small teams, driving individual accountability, and insisting that agents meet a higher standard in personal appearance, personal integrity, personal actions, with the group deciding adherence has made all the difference. This uses peer pressure positively, drives individual accountability, and hones the team atmosphere that is so crucial in call centre work. Stretched over time, individual improvements are barely noticeable and many don’t even realise the changes until they have already been accomplished. Proper incentives like pizza parties, ice cream sundaes, team dress-down days, etc… all provide the impetus for striving a little more. Stretched over six months or so, the improvements are barely noticeable on the individual level and many don’t even realise they are changing until the changes have already been accomplished. For more information on how to create accountability in the contact centre, read this article: The Power of One. I have implemented No Show, Call In policies in call centres I have worked in. The process is a little dragged out, but the decrease in turnover, increased retention and morale helps out the centre overall. The key is consistency. If the process is not fair across the board and there is no real follow-up auditing the process it won’t work. Having a good working environment, allowing call centre employees to take ownership within their roles and using metrics that include attendance to review individual performance is, of course, key. Employees who understand their incentives, bonus, raises and promotions will be tied to these metrics as well. We built and communicated a vision for our organisation and our No. 1 priority is engagement. We clearly communicated that absenteeism was a sign of poor engagement or we had very sick people (both a problem). I also let them know that I look at our absenteeism every day to ensure we do not have the above problems. I also task the leaders with managing this metric and it is part of their variable compensation. What we have seen are employee engagement scores in the +80% for the last four quarters and a reduction in absenteeism of 30% Year On Year. Absenteeism, along with agent churn, is an ongoing theme in every call centre. I think that as leaders we need to get rid of our old ideas of what worked for us and look at what will drive or motivate the current generation of agents to come to work. Today’s generation of agents are fiercely loyal so leverage that. Get that personal commitment to you as an individual, not their manager. Today’s agents are fiercely loyal, get that personal commitment to you as an individual, not their manager. When you’re 24 and living at home money isn’t always a big incentive, but time off is. Social relationships are very important to this generation, so lack of flexibility in schedules will often causes absence; so add some flexibility. Let agents come up with their own schedules that fit into the needs of the centre. If it works, what does it matter if it adds complexity to the resource team or to their supervisor, aren’t they there to support the agent, not the other way around? Lets face it, it’s a tough job that most of us wouldn’t do again, even at our management salaries. So put yourself in their shoes, what would it take for you to do that job again? Take a look at this article for Top Tips on Flexible Shift Patterns. Michael Lloyd at Rogers Communications Inc. Anyone who exceeds the agreed number of tardies or absences will not be eligible for growth in the company. Link missed punches to the build-up of an occurrence (such as one missed punch = 1/3 occurrence or whatever you wish the guidelines to be) to stop the manipulation of not clocking in to prevent being late. Once an employee is late a specified number of times, and has gone through the step-by-step write-up process to the brink of self destruction, suspend the employee without pay before you terminate. To calculate absenteeism, take a read of this article. If you want to get their attention quickly if discussions do not work, then take their pay away for a few days as an alternative to termination. If that doesn’t do it, then you’re dealing with someone who just doesn’t care. ii. Completion of the 90-day probation period will be considered a success as long as the employee does not show a pattern of going tardy again within 30 days after the end of the probation. Another tardy within that grace period shows that the employee is habitual and begins the 90-day probation over again. This will send a strong message that manipulation will not be tolerated. And, let’s face it, not many problem employees are going to last through 90 to 120 days of “No Tolerance”. If they do, then coach to that if you see them getting a little loose later on and discuss that you both know they can do this. UK employers spend around £750m a year on conventional wellbeing interventions to try and help tackle absence. This is before you include any costs of training, job design or operational re-structure. The business case behind much of this expenditure and the return on investment is highly debatable. Don’t waste time and money on absence initiatives until you have assessed and measured employee wellbeing properly. Only then will you be able to manage absence within your control successfully. Read this Guide to Improving Mental Health in the Contact Centre for steps on improving the wellbeing in the contact centre. If a line manager is able to understand more about the absence and the needs of the employee they will be able to facilitate a quicker return to work. It is crucial to maintain contact with employees whilst they are absent from work. We’ve included attendance as part of the representatives KPIs. We use the monthly KPIs and the scores earned to determine everyone’s ranking for shift bids. Each of the KPIs has different weighting and attendance has one of the highest (40%) because it’s one over which the employee has a great amount of control. We shift bid every quarter so our reps know that they have the opportunity to move into a more desirable shift simply by performing well. This has worked tremendously well for us. When I took over the contact centre three years ago we were struggling with churn of close to 200% and chronic absenteeism. In 2008, we reduced our churn to a miraculous 2% and had no churn in 2009. We have also reduced our attendance occurrences to a very negligible amount. There were no unplanned absences for the entirety of 2009 and only 15 tardies for the entire year. When I took over my last position I requested the files of the team only to find out that the company had team members with over 40 attendance events and no action. The team was basically a good team but had no sense of accountability. To address the issue I started re-writing job descriptions and adding working with the team to build up responsibilities and accountability. In the process we added attendance to KPIs and included a weekly team performance communication. A simple email with the totals call, abandon rate and service level of the week including the attendance events. A simple weekly team performance email summarises the totals call, abandon rate and service level of the week including the attendance events. So the team had first-hand knowledge that when the attendance was down, the service level was lower and so on. In addition we included progress reports and, yes, we placed some agents on probation and some as a result of not following up with their commitment upon the individual progress cards. As a complement, we included team games where KPIs were the guide to a Home Run or a bingo game in which anyone with less than perfect attendance was out of the contest for the payroll period. After a few months and two separations the behaviour started to change up to the point that at the time of the yearly evaluations 85% of the team showed absence below the maximum allowed by the employee handbook. Are the calls they are taking “fair”? Sometimes agents are placed into a toxic environment. This can be caused by poor management and not pushing back on the team that is asking for the impossible. This is delicate, but upper management respond quickly to cost of training and quality issues, so focus on these instead of individuals. Then there is the troublesome employee who pushes back, and the only way to deal with this is to be firm with the dress code, to train against harassment of all types, and put back positive rewards. I know these are polar opposites and there is a wide mix in between. You could also try outsourcing a portion of the work and comparing the stats in a board for all to see. Outsourcing will help you see lots of aspects of your team that you might not see because you’re too close to them. We value long time service with an awards ceremony at ten and twenty years of working in the company. We value long time service with an awards ceremony thrown when an employee reaches 10 years with the company (diamond earrings or a fine watch) and a second awards ceremony at 20 years of service with a reward of a trip around the world for 2. Hiring the right folks in the first place, motivating and leading them and taking care of them, tying the salary to attendance, creating a flexible work schedule environment and then managing them out if all possible attempts don’t work (like ‘action plans’, etc.) will create the right environment for improved employee attendance. Reward good attendance, motivate employees so they want to come to work and, as a last resort, fire those who don’t fix their issues is the key. The bottom line that we have found to improve attendance immediately at our clients is to give tokens for daily attendance and extra tokens for “five days in a row” attendance. Note the difference between M-F extra tokens and “five days in a row.” It is critical to award tokens for all desired activities as soon as the activity is completed. The number of tokens depends upon the budget. The tokens are used to play brief games that generate a random (but controlled) number of points. The points are then used to “buy” prizes such as time off, money onto a debit card or anything (tangible or intangible) that the client wishes. There are a few key factors involved here. The first is “continuous positive reinforcement” and is a great way to change behaviours in conjunction with receiving the tokens and the ability to redeem points for prizes immediately. Another factor is “random intermittent reinforcement” and is an equally powerful motivator. Finally “choice of reward” is key because an undesired prize has no value. 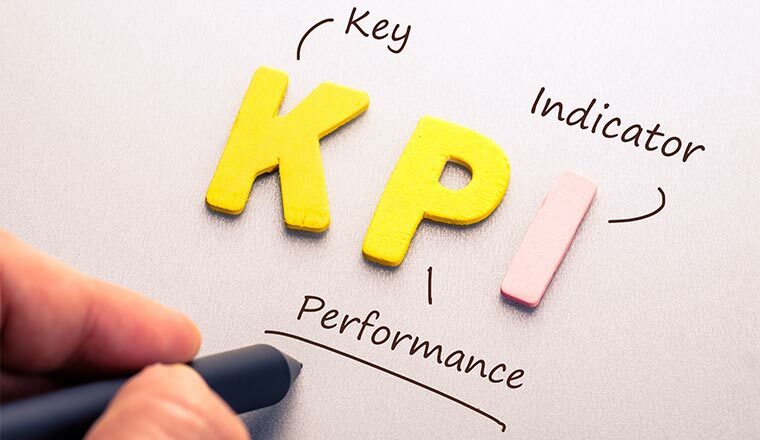 As a rule of thumb, spending about two hours worth of labour per month on incentives and programme management will improve KPIs by at least 20% almost immediately. “Continuous positive reinforcement” is a great way to change behaviours with the ability to redeem points for prizes immediately. “Random intermittent reinforcement” is an equally powerful motivator. “Choice of reward” is also key because an undesired prize has no value. These methods are nothing more than what we’ve all observed at contact centres that run reward contests with tickets put into a bowl and draw for prizes. The problem is that many companies look at incentive/reward programmes as short-term fixes rather than on-going and don’t regularly monitor the ROI. The result is that KPIs revert to prior levels once the programme concludes. In one of my previous centres, we not only linked absence to performance and made it a key performance indicator, we weighted it appropriately to indicate how important good attendance was to us. We had a complete balanced scorecard that included productivity, quality/accuracy and professionalism metrics, and the chief metric for professionalism was attendance. This included on-time log-in/log-out for shift, timely return from break and lunch, and full absences. Everything was included on a per-instance basis, and each instance was awarded a point value, with an 8-hour or longer absence in a day having the highest number of points (2.0), and a small point value assigned to a tardy instance of 10 minutes or less (.25 pts). Agents were allowed a rolling 90-day “balance” of three points total. Any greater than that was a call to action for their supervisor, starting with a documented discussion during their monthly scorecard. Both monetary and non-monetary rewards were paired with attendance. For perfect attendance, attendance that “met” the target, and “most improved” attendance on each supervisor team. If the balance continued to rise or did not decrease over the next 30 days, a performance improvement plan (PIP) was developed. If, during the PIP term of 90 days, an agent was absent or tardy for anything other than a legitimate FMLA instance, the agent could be terminated. Supervisors were also made accountable for delivering these discussions and PIPs in a timely manner by means of a measurement (% complete) on their monthly scorecard. I developed the reporting for this, and tracked it from implementation to finish. We sustained a 20 per cent decrease in overall absenteeism in a six-month time frame without increasing our attrition. This plan was paired with both monetary and non-monetary rewards for perfect attendance, attendance that “met” the target, and “most improved” attendance on each supervisor team. 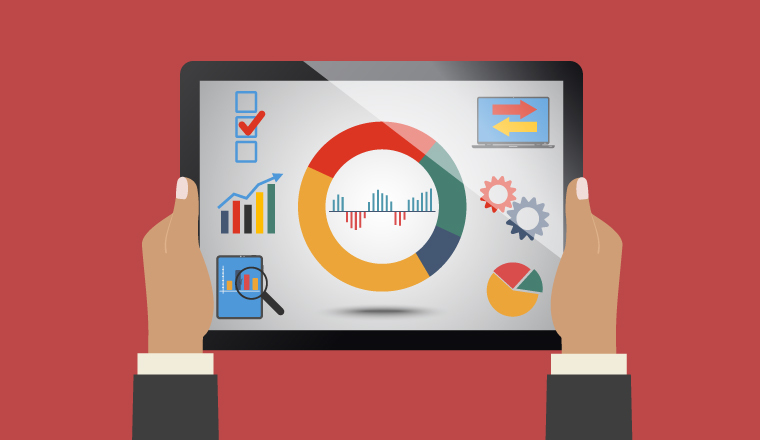 Read this article for advice on creating a contact centre scorecard. I do agree, however, that some schedule flexibility is warranted in a call centre. In the centres where I was the WFM (Workforce Management), agents were required to be available to work during a minimum 10-hour time frame daily, 6 days per week in a 24/7 centre, or 5 days a week in a regular Mon-Fri centre. Within the limits of business need, agents could choose the 10-hour time frame during which they were available, and they could request a change to that time frame no more often than every six months. We re-scheduled every two weeks, and agents had approximately ten days’ warning of their upcoming schedule. 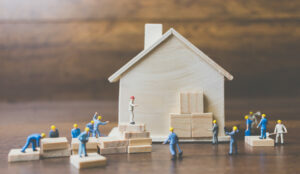 Shift swaps or ‘giveaways’ were allowed between any two team members with like skills, so long as no overtime was incurred by the agent taking on the shift. 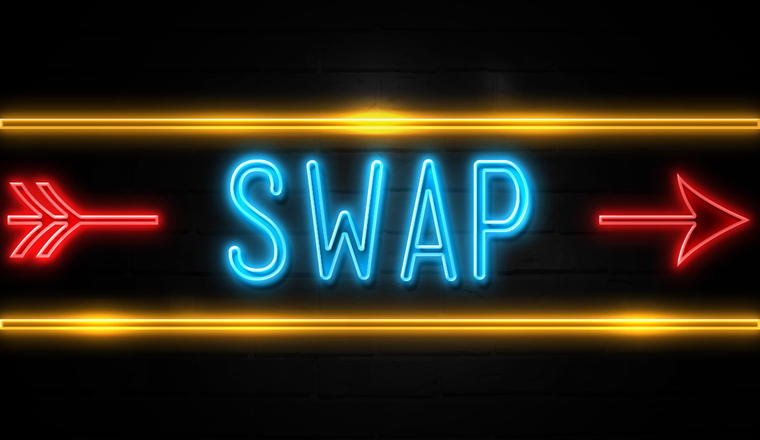 Swaps could be executed with a minimum of two business days’ notice. In an emergency, one business day was allowed. That helps a lot! To help reduce many problems in one particular call centre we posted all agent stats that had exceeded threshold levels next to the exit door of the call centre and in any break room areas. This way, the agents can review each others’ stats and see where they rank. Be careful as to which stats you use, pick solid indicators – Hold times, Talk time, Days off, Days missed due to illness, etc. as the agents will start judging themselves and start some improvement. As for all adherence problems, the management team must stand together. The so-called duvet day is an innovative way to tackle the problem of staff absence. Duvet Days are defined as a day’s leave from work which can be taken at short notice without explanation. They are a great perk of any job – especially for a younger workforce who may be prone to a mid-week drink! They can also help offset an oncoming cough or cold with a day’s rest. These days aren’t taken in addition to contractual holiday, but instead are deducted from the annual quota. The only difference is the amount of notice the employee has to give. Workers in the UK take 180 million sick days each year. An estimated 27 million of these believed to be unwarranted and bogus, according to the most recent survey CBI/ Pfizer Absence and Workplace Health Survey. Unplanned absence remains a huge problem in call centres. 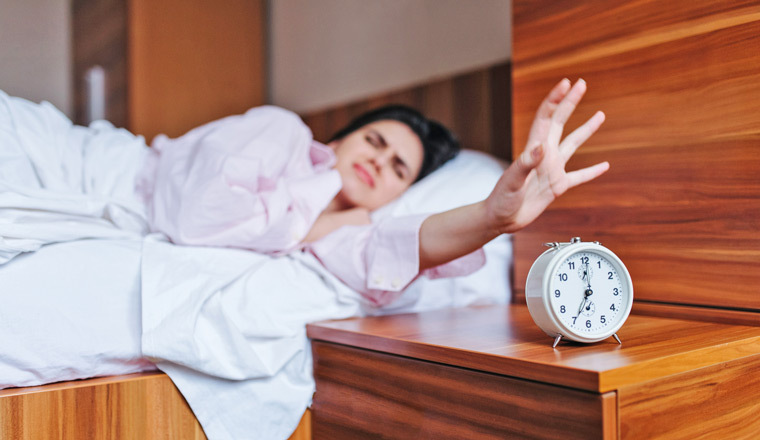 Contact centres that employ high numbers of young people or parents may find that duvet days improve morale, as staff no longer have to worry about dishonestly phoning in sick to deal with a childcare crisis or a hangover. Duvet days also benefit employees with specific healthcare needs. Do you have any other tips to manage absence? If so, please leave them, as well as any other thoughts, in an email to Call Centre Helper. Originally published in January 2010. Recently updated. Well, the notes in Article are quite practical & will be surely useful to all. However, the generic issue in call centre especially in India is the fault lies more at the Strategic Level and not at the level of call agent, who is doing thje world’s most monotonus & boring job, of either calling or recieving calls. Hotel Industry, perhaps is still far more superior & more stable in CRM business. Whereas the dynamics are much more complex as there is also the direct interaction with customer. But, why Call centres fail in retaining employees,employee belongingness. In India most of the Top Call centres, BPO’s initially when opened many years back, hired lot of manpower from Hotel Industry. There were a few International Call centres/ BPO in India, their Middle management was recruited as Top Management, however, unfortunately they carried the legacy of their previous employer & copied the same style & culture as being followed in the few International BPO’s or Call Centres in India. The basic gap, is that the VP’s & Directors of Call centres in India forget that Call centre is also an offshoot of Hospitality/ Service Industry & The most important resource is PEOPLE. There is a huge gap between VP’s & TL’s & Call agents. In many International Callcentres, the Director or Group Head HR does not even meet the ground level staff at floor. The recruitment style is quite doubtful & not transparent. Many International call centres especially Big names in industry reject candidates who are well qualified, or have potential to outshine. The reason is that they will not stick to the job for long. Many call centres have hired immature & fresh graduates as Recruiters, who lack depth, lack maturity, lack farsightedness & unfortunately they conduct the preliminary interviews. The result is that human touch starts lacking from pre vrecruitment stage itself. Secondly, The TL’s & Operation Managers usually have risen from ranks of Call agents & since Industry does not demand academic brilliance, many are average or below average in overall IQ & academically. the type of liberal salaries, perks, free pickup, dropping, free food, health insurance, incentives all lead to high take home salary packages & at very young age, when mediocre graduates & undergraduates earn so much, the result is they feel more powerful & Power unfortunately leads to myopic, irrational behaviour unless a person is well matured to imbibe the power with grace & dignity. To end, the botomline is that, there is lack of communication from Top Head of departments with floor level staff, the gap creates strict boundary walls around the fortress & there is lack of Human Touch. Remember we can buy a Man’s time. Man’s muscles, Man’s Mind BUT NOT HI/HER HEART. Unless & untill, we start communicating with our core functional staff, build transparent policies , just treatment, reward perflormers, invest in employee development, focus upon quality of life, show them growth path , till then call agents will never have sense of belongingness & abseentisim rate & attrition rate will always be high. Also, fail to understand that why many branded International Call centres especially in India, why their Director HR does not strategise & fix a percentage of manpower to hired from matured individuals and those who need jobs for survival. FOR EXAMPLE : For a web based process or for a local / domestic call centre with inbound process on Customer service, why Call centres do not try the option of hiring Physically Challenged people. Train them , groom them, make them SELF RELIANT & trust me, they will be more charged up, motivated & stable. The only extra expenditure is few ramps & structural changes to ease movement of Physically Challenged employees. 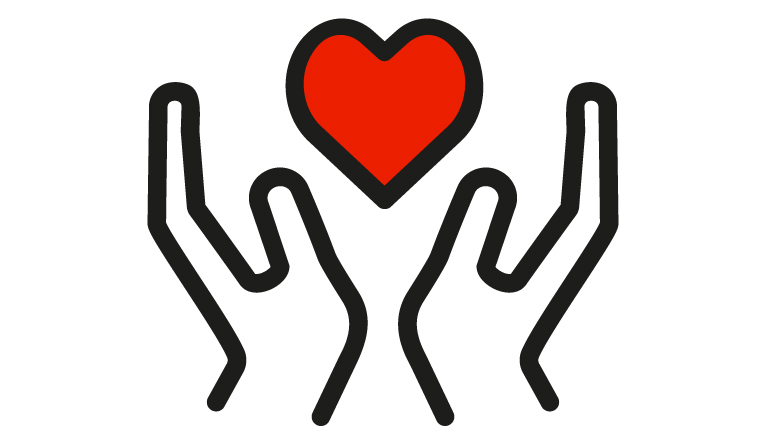 Few call centres could even tie up with some social organisation or a Voluntary Association and recruit those who have faced certain brutalities of life & passing through a crisis or tough phase in life. By hiring such profile, corporates help in easing out their burdens, help them to be financially stable, strong & such employees will respect, value their organisation, their job & look for long term career & definetely their attitude towards job will be far more positive as job for them is survival also. This will automatically reduce the absenteeisim rate & attrition. instead forty 6 would more like to know 1 policy that works. Hello everyone, I am an employee of the team of customer care firLab. I do a software’s consultancy about staff rostering. Presently I am working with 2 call centers Italians who have purchased our product, so I’m learning the rules of shift system in a call center. I read the article and think it is perfectly true. Each point of the article is a well-fixed and serves to absence management. I am team leader in a telecommunication call centre and have a team of high unplanned absence eg 199 hours in 2 weeks. Also a team of members that are not achieving KPI’S, I have been an agent myself for a very long time and out off suggestions,I have found this site to be very imformative and will put into action some of the suggestions. Attrition avoided for this skill. I still wonder, what is that single magic question (KPI) that could drive & convince an employee: “I must go to work now or today or tonight”.